Fires are not only common in disaster events, but occur during the normal course of everyday life. Be prepared by equiping your home, office, school, and car with fire protection and evacuation equipment. 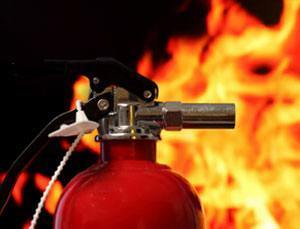 Place a fire extinguisher on each floor of you home, one for you car, and make sure they are located at your work and school. Most importantly check the expiration dates and replace them when necessary. Also consider portable escape ladders and smoke masks. This fire blanket is treated to retard fire. It is make from Woven Cloth and is 3' x 3x and has a 10 year guarantee.